With 90% of propane produced here at home—and most of what’s left imported from Canada and Mexico—propane truly is America’s fuel. 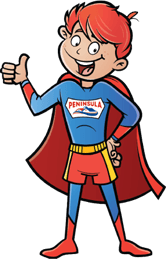 If you want propane fuel delivered to your home in Delaware or Maryland, there’s only one name you need to know: Peninsula! 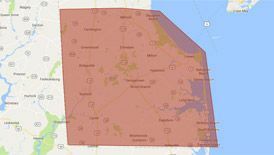 We’ve been providing propane delivery to households across the Delmarva peninsula since 1935, and we guarantee your absolute satisfaction with all of our services. For residential propane delivery in Delaware or Maryland, call Peninsula today at (302) 629-3001 or contact us online today! Convenience – We offer a wide range of perks, including online bill payment, exclusive discounted price for tank owners, and 24/7 emergency services. Flexibility – With our propane payment options, you can get the service you need at a price you can afford. Reliability – With guaranteed delivery, you’ll never run out of propane fuel. When it comes to warming your home, heating water, cooking meals, drying clothes, and more, nothing is more reliable than propane. With our automatic delivery, it’s even easier to get the fuel you need all year long, no stress required. Call (302) 629-3001 or contact us online today to experience all the benefits of residential propane delivery for yourself! Dependability, service, quality, and value. That’s what you’ll hear when you ask our customers about us. Our commitment to your satisfaction is built on this foundation!